I consider myself the ultimate summer baby. Not because I was born in the best month ever ,ahem June…..but because the summer is the time to let loose and bare arms, legs and fancy toes! 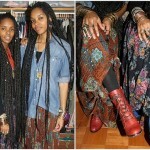 On one of my vintage hunts I came across these two summer worthy skirts. 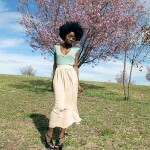 One is a nice flirty color block chiffon swing skirt that I paired with a belted jean shirt.Its lightweight, fresh and ultra feminine. 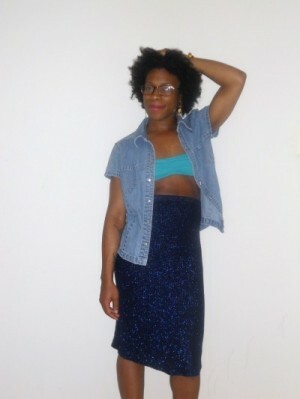 The other one is a vixen approved 80′s sparkle body con knit skirt, that was paired again with my denim shirt (also thrifted) and a bandeau bra . 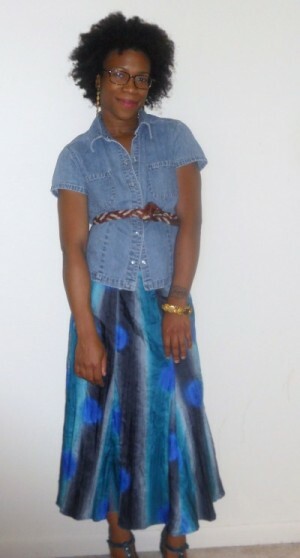 I love how this skirt hugs the body with an elastic waist and back slit. And the sparkle effect gives it a nice kick, insert jazz hands! 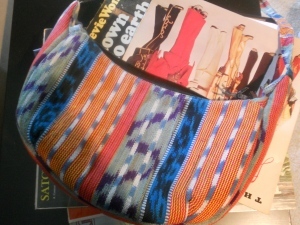 Checking in from Guatemala, this vintage hobo sling Tribal Bag is a nice weekend stroll bag that will transform any plain jean outfit. This bag is 100 % cotton and evokes a chill earthy vibe . These items are all for sale on ebay. Vintage galore! Solange, Olsen Twins, Tracee E. Ross. 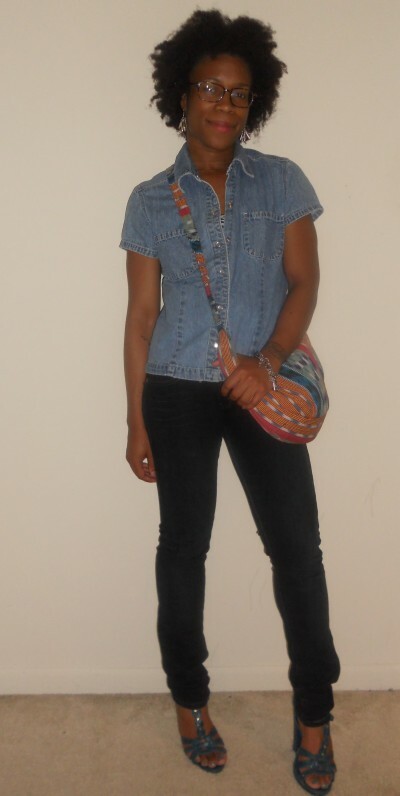 Mixing normal pieces and junking them up with elements of my carefree personality. My clothes have to move and speak when even I’m silent. I remember you from Western!